In a relatively short time, Ryan McGarvey has not only gained a national, and international fan base, but admiration from his personal idols as well. In the past few years of Ryan’s career he has had the honour, and the pleasure of sharing the bill with such top name acts as Eric Clapton, Jeff Beck, B.B. King, Joe Bonamassa, Gov’t Mule, The Fabulous Thunderbirds, and many more. His debut CD release “Forward In Reverse” reached the top 20 (out of over 200,000 Artist’s CDs) on the best sellers list on CDBaby.com (The world’s largest online independent distributor). With rave reviews complimenting everything from his fiery guitar chops, which range from everything from delta slide to heavy rock, his unique vocals, or mature songwriting skills, Ryan McGarvey’s live shows will leave you breathless and wanting more. In 2006 Ryan was named Guitar Centre ‘s “Guitarmaggeddon: Next King Of The Blues” champion of New Mexico . In 2007 & 2008 he was named “Blues Act Of The Year”, in The Weekly Alibi’s Annual Readers Poll. In 2007 Ryan also took home the New Mexico Music Award for “Blues Song Of The Year” for his song “Cryin’ Over You”. Ryan was featured by the editors of Guitar Player Magazine twice during the Summer of 2008 in their magazine. McGarvey was voted “Best Musician” from Albuquerque, The Magazine’s Annual “Best Of The City” Readers Poll in 2008, 2010, and 2012 (being voted Best Vocalist in 2009). 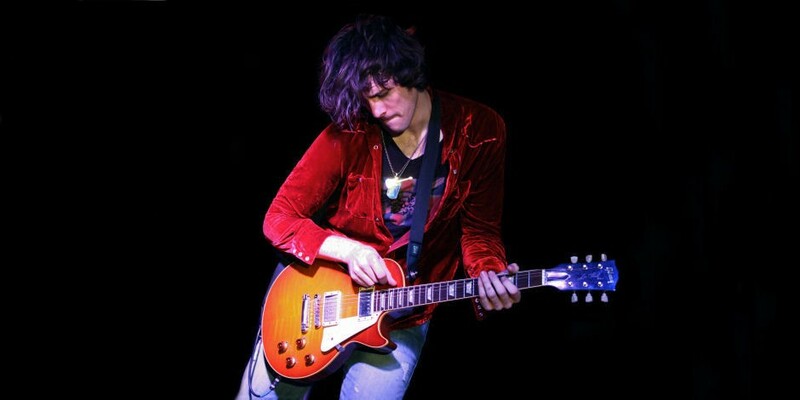 In 2010 Ryan was chosen from over 4000+ bands from around the world to perform at Eric Clapton’s Crossroads Guitar Festival in Chicago. From 2011-2012 Ryan & his Band embarked on three very successful European tours to rave reviews. In 2013 Ryan received the prestigiuous award of “Best New Talent” in the notorious Guitar Player Magazine. With a solid rhythm section backing him, Ryan McGarvey and his band are embarking on bigger and better things every day. Tours are constantly being planned! Don’t miss your chance to catch them in a town near you !! !